The Modi Doctrine christened as such by the Obama Administration in June 2016 was a strategic inevitability from which India shied away in earlier years in defiance of compelling geopolitical and strategic realities. Indian Prime Minister during his visit to the United States in June 2016 audaciously unshackled India from its “history of hesitations” in forging an unambiguous US-India Strategic Partnership in strategic hues hitherto fore absent. Embedded in Modi Doctrine are a vast array of strategic, security, political and economic gains for India and similarly corresponding gains for the United States in terms of United States continued embedment and predominance in Indo Pacific Asia. The Modi Doctrine seems well-synchronised with the strategic moment when it can be said that the ‘India Card’ has come to the fore in full play. Prime Minister Modi can be said to have audaciously seized the moment to India’s geopolitical and strategic advantage. Rightfully observed in a Western media report was that the Modi Doctrine marks the transformation of India’s strategic formulations from Non-Alignment to a “Structured Alignment.” One could add that Modi Doctrine’s “structured alignment” with the United States would be one of equitable equations between the world’s most powerful democracy and the world’s largest democracy bound by commonality of strategic convergences synchronising with the changed global and regional strategic narratives. Building an airstrip on the Spratly Islands is, as one Chinese diplomat reassuringly informs Anja Manuel in her new book, “like building a fountain in your own backyard.” China’s expanding appetite for water-features has undoubtedly been one of the driving forces behind deepening U.S.-India ties in recent years. In This Brave New World, however, Manuel pushes back against the urge to make counterbalancing China the foundation of America’s relationship with India. The global nuclear order appears increasingly tense, primarily because many states feel that the structure and distribution of benefits is unjust. Among the states that will determine how the nuclear order will adapt, Argentina, Brazil, China, India, and Pakistan are particularly important. These states occupy an uncomfortable middle ground in the order. Each possesses advanced nuclear technology, and three of them hold nuclear weapons. Unlike other states that seek to fundamentally change the existing system, these states would like to improve their standing in the order even though they remain deeply uneasy with its perceived lack of fairness. Criticism of the existing order tends to focus on the lack of progress toward disarmament by countries possessing nuclear weapons. Critics reject incremental arms control measures as an indicator of progress. Many states also disparage growing constraints on access to peaceful nuclear technology, which they believe will impede their economic development. The existing order primarily benefits states that developed nuclear technology earliest and wrote most of the rules governing international nuclear affairs. The evolution of the order will likely be driven by middle-ground states that have developed advanced nuclear technology and actively participate in nuclear governance decisionmaking, but whose interests are not completely served by the existing system. Thus far, middle-ground states have preferred working within the system to overturning it. Nuclear regimes provide sufficient elasticity for these states to pursue their interests within existing limitations. Bihar shows how particular political conditions cause states to be poor, weak, and violent—and how careful application of political tactics can reduce violence even in places with few resources and low state capacity. Poor and weak countries plagued by violence seem to face a chicken-and-egg problem: a lack of resources appears to constrain their ability to fight violence, while violence itself exacerbates poverty. Yet under Chief Minister Nitish Kumar, Bihar, one of India’s poorest states, was able to significantly reduce an insurgency that has plagued the region for over forty years. Bihar shows how particular political conditions cause states to be poor, weak, and violent—and how careful application of political tactics can reduce violence even in places with few resources and low state capacity. Like many places facing violence from multiple groups, Bihar’s state weakness, poverty, and violence were all rooted in a power structure that enabled extreme privilege and impunity for an elite few, politicized security forces, and outsourced the monopoly of violence to militia groups. Thus, Maoist insurgents, a multitude of militias, and state security forces were locked in a vicious cycle of retaliatory violence. Other Indian states failed to substantially reduce Maoist violence because counterinsurgency and counterterrorism strategies could not work in politically compromised governments that didn’t address the root problems of power. Bihar successfully combined counterinsurgency and counterterror tactics with a strategy that redressed the power equation. A failure to institutionalize Bihar’s rule of law successes may be threatening gains. Sustainable reform needs a three-part program comprising policy, politics, and institutionalization. Recent successes in the wars with the Taliban and with ISIS should be viewed cautiously. The first comes with strong downsides and the second may not be all they seem. The success against the Taliban was the assassination by drone strike of the Taliban’s supreme leader, Mullah Akhtar Muhammad Mansour. At one level, this certainly hurts the Taliban. Mansour had only recently succeeded in consolidating his position, and now someone else will face that difficult task all over again. But as is so often the case in Fourth Generation war, the upside and the downside are the same. It is as important to us as to the Taliban that the new consolidation effort succeed. The tendency in 4GW is for endless fracturing. First the state fractures, then the original factions fracture, and the fracturing goes on until no one controls more than the area he can see. Obviously, this makes the task of re-creating a state ever more difficult. But from our perspective, we only win when a new state–a real state, not a Potemkin village like the current Iraqi “state”–emerges. From that perspective, if the Taliban fractures (and it has increasingly strong tendencies in that direction) our victory becomes less probable. By killing Mullah Mansour on Pakistani territory without Pakistani approval, we have yet again undermined the fragile legitimacy of that state of Pakistan. We should remember at all times that if the Pakistani state fails, we will suffer a far worse defeat than any possible failure in Afghanistan. We complain that Pakistan has de facto allied with the Taliban, but the government in Kabul which we created has given Pakistan no choice. In a prime example of strategic idiocy, the Afghan government has aligned with India. That is a mortal threat to Pakistan. If we want Pakistan to de-align with the Taliban, we must convince Kabul to de-align with India. The U.S. State Department seems clueless about this basic fact. If all this seems to raise the question, “If every actions we take, even when it succeeds, generates so much blow-back, what can we do?”, that is how Fourth Generation war works. Every action generates an equal and opposite reaction. Often, while our action is on the physical level, the reaction is on the mental or moral levels, which are more powerful. So it all blows up in our face. What should we do? Stay out of Fourth Generation wars on other peoples’ soil. 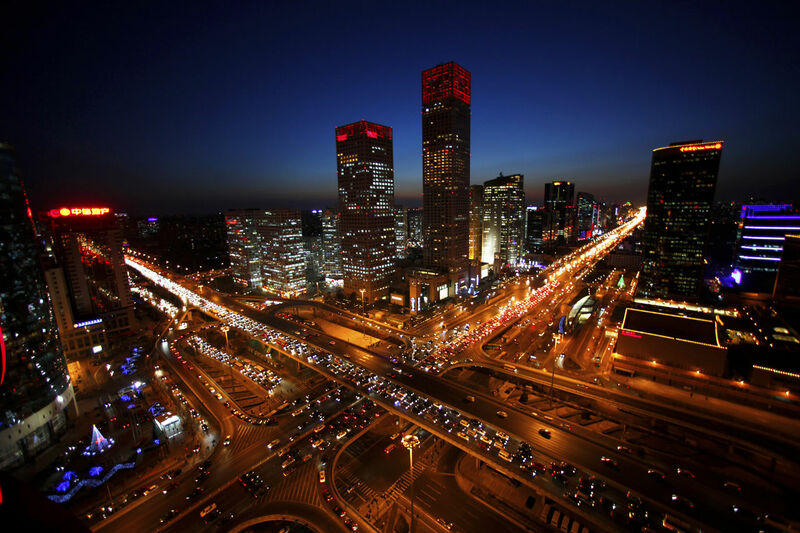 ** One-Belt-One-Road – to Join or Not to Join? India has to improve its connectivity with growth markets and link into Asia’s production and supply chains. We cannot be left isolated in our own backwater. Since China launched the One-Belt-one-Road (OBOR) initiative – a long-term plan for land connectivity network across Asia and maritime routes spanning the seas from the Pacific to the Mediterranean – India has preserved a coy reticence about its participation in the venture. But in March 2016, in an address at the Raisina Dialogue in New Delhi, foreign secretary S. Jaishankar made a definitive statement on the subject. Without mentioning OBOR, he made it clear that India viewed it very differently from the Asian Infrastructure Investment Bank (AIIB), also a Chinese initiative. He emphasised that detailed consultations with China had preceded India’s decision to join the AIIB. However, the OBOR had been presented as a “more unilateral decision”. “The key issue,” Jaishankar said, “is whether we will build our connectivity through consultative processes or more unilateral decisions”, adding that India definitely preferred the former. ** We Preach Subordinate Empowerment, So Why Don’t We Practice It? We Preach Subordinate Empowerment, So Why Don’t We Practice It? Army leaders claim they practice mission command, but it’s a different story behind closed doors. You hardly go a day without reading a journal entry or a blog postabout the Army’s leadership philosophy: “mission command.” We all get the gist — clear commander’s intent, short mission orders, empowering subordinates. Junior leaders like the philosophy because it keeps commanders from meddling in their business. Senior leaders like it because it frees them to focus on more important issues. But if it’s so popular, why don’t we practice it? Army leaders claim they practice mission command. But get them behind closed doors, and you’ll hear complaints about rampant micromanagement — even from the most senior leaders. The truth is that mission command runs counter to several historical trends, dating back decades. First, the pernicious use of information technology has whittled away at the foundations of mission command. Second, modern commanders operate with far less autonomy and decision-making authority than they had in the past. Finally, military culture has become far less tolerant of mistakes. IT killed principles of mission command. Having served in the Merchant Navy before joining the IAS, I can claim to have visited almost all the ports in the Persian Gulf, specially the oil terminals. At the height of Iran-Iraq conflict, we were picking up crude from Kharg, an Iranian island in the upper reaches of the Gulf, which is its major oil export point, just as Ras Tanura is for Saudi Arabia. So I claim an expertise in the area of analysing ports, specially from the point of view of logistics, and through my present calling, I can also now lay claim to understanding a bit of the strategic compass. With that caveat, let us have a closer look at the frenzy which has gripped Pakistan. CPEC (China-Pakistan Economic Corridor) to them, is the panacea for all their economic ills and Gwadar is the best port in the world. Similarly, I read a piece today in The Diplomat by Muhammad Daim Fazil giving five ridiculous reasons for the supposed superiority of Gwadar over Chabahar. Let’s find a framework for this. What are the qualities a port needs to become a great one? While U.S. efforts in Iraq and Syria to combat the Islamic State wear on, Washington’s other major war in the region is showing signs of deepening. U.S. President Barack Obama granted expanded military authority to the 9,800 U.S. troops stationed in Afghanistan on June 9. Under the new authorization, U.S. troops serving in a training and counterterrorism capacity can now join conventional Afghan security forces on the battlefield if their presence is deemed to have “strategic effect.” (Previously, U.S. troops assisted only in high-value target missions, carried out more often by Afghan elite fighting forces.) In addition, U.S. forces now have an expanded capacity to conduct limited airstrikes in support of U.S. operations. In requesting expanded U.S. troop capabilities, Gen. John Nicholson, the new NATO commander in Afghanistan who assumed the post in March, was channeling longstanding frustrations of the U.S. military, which has felt unable to act effectively in an increasingly precarious theater of war. Still, the Pentagon made a second request that Obama did not satisfy: maintaining the current U.S. troop level at 9,800. Obama has pledged to reduce U.S. troop levels to 5,500 by the end of the year, even while the Taliban now control or contest a greater part of the country’s territory than at anytime since the war began. Obama’s decision is a matter of politics, not policy. It is an election year in the United States, and Obama does not want news of a troop redeployment to become a liability for his preferred successor and presumptive Democratic presidential nominee, Hillary Clinton. It is more likely that he will avoid making any such announcements until after the election is over. It is here that America is going to face a serious challenge. In a democratic set-up, where human dignity and human rights are jealously guarded by the press, electronic media, judiciary, the civil society and the Constitution itself, a radicalized Muslim will not wait for the FBI or the local police to get to him before he or she strikes. Such lone wolf attacks by unmonitored young men/women, born and brought up in the United States, will only increase as they have a powerful lobby of sympathisers in influential places, who will shout ‘violation of human rights’ from roof tops on the first sign of the law enforcement agencies acting against them. …it became clear that the strike, even though being presently termed as ‘Lone Wolf’ attack, was the result of religious beliefs of the murderer. 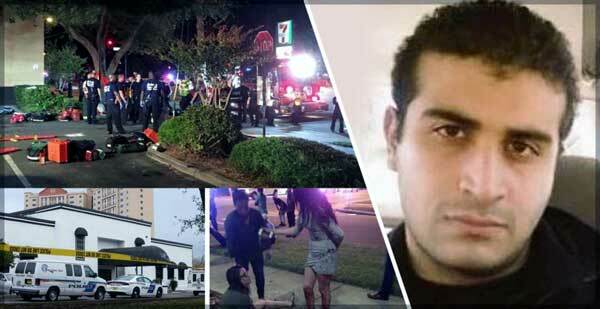 From the sketchy details available till now, the U.S. suffered its worst terrorist strike since 9/11 on Sunday, 11 June 2016, when an apparently lone gunman, now identified as Omar Siddique Mateen, attacked a LGBT Club, Pulse, in Orlando, Florida, killing 50 people and wounding 53 others. In the SWAT action that followed the attack, the Omar was killed, ending a gory night of massacre and bloodshed. The attacker is supposed to be an American born Afghani whose parents had migrated to the United States, many years back. On paper, there exists in the union government, an entity called the Urban Development Ministry that is dedicated for the purpose of urban development all over India. In practice, this ministry, for quite some time, has been acting as its job was to use money extracted as tax and revenue from various states of Indian and spend it disproportionately for projects in and around Delhi. In the 2016-2017 budget, the total allocation for the Urban Development Ministry headed by M Venkaiah Naidu was Rs 21,100 crores. Of this, more than 20 percent was allocated to a single project in Delhi — namely the Delhi Metro. This amount is more than what was allocated for metro projects in Mumbai, Bengaluru, Chennai, Kochi, Lucknow and Nagpur all combined. 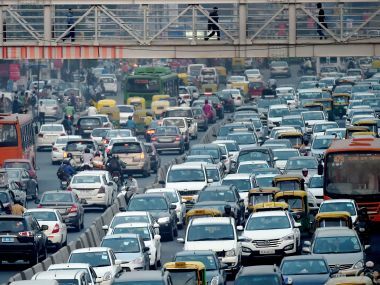 The real share of Delhi in the budget allocation is actually closer to 30 percent, when one considers the various other headings under which the ministry allocated more money to Delhi, including a separate National Capital Region sub-allocation. No such separate allocation for a specific urban area exists in the Urban Development Ministry budget and the amounts given to NCR through such methods are much higher than what is allocated to the next few mega-cities combined. Last week, the special meeting of the Nuclear Suppliers Group (NSG) held in Vienna, to consider the issue of India’s application for joining the group, ended inconclusively. The matter will now be taken up at the plenary meeting scheduled for June 21-24 in Seoul. In mid-May, India formally applied to join the NSG, reflecting the political distance it has travelled. The NSG (initially known as the London Club) came into being in 1974, in response to India’s peaceful nuclear explosion. Its original members were the U.S., U.S.S.R., U.K., France, West Germany, Canada and Japan. Realising that the Nuclear Non-Proliferation Treaty (NPT) was not robust enough and in any event, France was not party to the NPT and exporting sensitive nuclear technology (including to Pakistan which it then cancelled), these seven countries adopted stringent guidelines for nuclear exports. Today, the NSG has grown to 48 countries and in order to get away from the notion of a ‘club’, members are called ‘Participating Governments’ (PGs). After the first few years, the NSG remained dormant and, in fact, did not meet after 1977 till 1991, when concerns about Iraq’s nuclear programme surfaced following the first Gulf war. By this time, the NSG had expanded to 26 countries and moved quickly to expand controls to cover dual-use items and technologies that had contributed to Iraq’s programme. The second key change was that for non-nuclear weapon states, full-scope safeguards became the conditionality for nuclear transfers. Since then, it has had regular meetings, both at the technical and policy levels. Legally though, it remains an informal grouping of like-minded states committed to nuclear non-proliferation, implemented through a system of harmonised export controls. Decisions in the group are taken by consensus. For its declaratory intent alone, the joint statement signed during the visit of Prime Minister Narendra Modi to Washington D.C. sets India’s foreign policy on new and untested waters. The claim that it “tilts” India towards the U.S., however, needs to be examined seriously. If the joint statement set out to advance substantive engagement with the U.S., it certainly achieved this objective. But does it constrain India’s ability to conduct its diplomacy with other major powers like China and Russia? A closer look at the document suggests that this is not the case. The table highlights the ‘give and take’ diplomacy that went into the drafting of the joint statement. On climate and clean energy issues, India conceded heavily, agreeing to negotiate the reduction of hydrofluorocarbons (HFCs) and airplane emissions under the Montreal Protocol and the International Civil Aviation Organisation Assembly (ICAO) respectively. The Montreal Protocol is a regime instituted to tackle the depletion of the ozone layer, which HFCs have no bearing on. It had previously been India’s position that HFCs, aviation emissions, and other greenhouse gases must be phased down under the UN Framework Convention on Climate Change. In 2015, the Indian submission to the ICAO suggested that the principle of Common But Differentiated Responsibilities must drive future commitments in the airline sector. The U.S., however, prefers an ICAO framework that reduces aviation emissions based on “market share”. The joint statement reflects an Indian shift that began with the Paris accord, followed by the Dubai Pathway commitment in 2015 to negotiate HFC reduction under the Montreal Protocol. To be sure, the Indian line continues to seek maximum flexibility for phasing down greenhouse gas emissions. The joint statement is nevertheless a concession, drawing India into a new U.S.-led climate regime. APU.S. President John F. Kennedy’s offer of helping India detonate a nuclear device much before China did in 1964 was rejected by Jawaharlal Nehru. Then President John F. Kennedy offered to help the country detonate a nuclear device much before China did in 1964. India need not have had to make desperate efforts now to get membership of the elite Nuclear Suppliers Group (NSG) had Prime Minister Jawaharlal Nehru accepted then U.S. President John F. Kennedy’s offer of helping the country detonate a nuclear device much before China did in 1964, according to former Foreign Secretary Maharajakrishna Rasgotra. He also said that if Nehru had accepted the offer, not only would have India tested the nuclear device first in Asia, before China, but it also “would have deterred China from launching its war of 1962 and even imparted a note of caution to [Pakistan’s] Field Marshal Ayub Khan’s plans for war in 1965,” according to a Observer Research Foundation (ORF) release. Mr. Rasgotra was speaking at the release of his new book “A Life in Diplomacy” at ORF. Udta Punjab Is A Half-Win For Free Speech. Now, How About Satanic Verses? If some films are given this luxury, why not the same for books? The Bombay High Court’s decision to release film-maker Anurag Kashyap’s Udta Punjab with just one cut is a blow in favour of free speech. However, the whoops of joy from Bollywood and those who see themselves as liberals are slightly misplaced. The bench did not say that the Central Board of Film Certification (CBFC) does not have the right to order cuts or changes in a movie, but only that such changes should be consistent and not mess around with artistic freedom. This is fine as it goes, but is this ever likely? Do different courts themselves apply the laws on free speech consistently? Would the Udta Punjab case have been decided in a similar manner had it been brought up before the Punjab & Haryana High Court and not the Bombay High Court? When some Muslim groups protested against Kamal Haasan’s film Vishwaroopam, the Madras High Court judge hearing the case asked the film-maker to arrive at an “amicable settlement” with the state government which had banned the film. Replacing the CBFC with judicial oversight is hardly great progress on free speech. Beijing insists that there is no religious discrimination in China, particularly against the Muslim populations (Uyghurs) of Xinjiang. Religious freedom has reached an ‘unparalleled’ level; it is at least what a document published by the State Council Information Office in Beijing on religious freedom in Xinjiang says. The publication coincides with the sensitive month of Ramadan. The White Paper even asserts that restaurants in Xinjiang are free to stay open or close during the Ramadan. At a public meeting, Zhang Chunxian, the Communist Party’s boss, wished all Muslims a happy Ramadan: “Ramadan is about peace and self-reflection, as well as dedication and self-discipline,” he remarked. This sounds good, but it is official rhetoric only: a ban on fasting has been declared on several categories of people. This shows the dichotomy in which the Chinese government has put itself. Beijing wants to show its critics that it is a ‘normal’ secular nation, but at the same time, it fears faiths often more popular than the Communist creed. The South China Sea has become one of the most dangerous flashpoints in the world as China continues to aggressively expand its influence and capabilities there. One year ago, we proposed several ways in which the United States could try to deter further Chinese encroachments. But, as the recent Shangri-La Dialogue demonstrated, tensions in the region have only risen since then. The Chinese have only accelerated their bellicose behavior, and nothing the United States has done has seemed to have any effect. The United States and its partners now have no choice but to consider a wider range of more assertive responses. We are not seeking a conflict with China, nor do we advocate a war. We do not believe that China is an inevitable adversary of the United States. But we are increasingly concerned that Chinese actions in the South China Sea, if left unopposed, will give it de facto dominance of an area that is a vital strategic interest to the United States. More direct U.S. actions would involve significant risks — but so would failing to act, and those risks are far less appreciated. Why does the South China Sea matter? It is one of the world’s most important shipping lanes, transited by about one-third of global commercial goods each year. It lies atop at least seven billion barrels of oil and an estimated 900 million cubic feet of natural gas. Conflicting claims to these important waters abound. These involve several U.S. allies and friends and will likely be exacerbated by the pending outcome of an international court case between China and the Philippines. Chinese efforts to establish sovereign claims over these key international waters not only threaten unimpeded access to global shipping lanes and U.S. partners in the region, but also set a dangerous global precedent. Beijing’s forceful efforts are intended to establish regional hegemony by creating a zone of “near seas” over which it can claim sole control. It is very clear that observers in China and the leadership are concerned with the new trajectory in US-India relationship. It is being seen as a grand design of USA to contain an aggressive China by also engaging India. The quoted article while acknowledging the strengths of India is also weary of the current developments. It concludes with “India knows its great vision cannot be realized by bashing or containing China. Instead, they should expand cooperation, explore the potentials and build mutual trust for their own good. China is more of a help than a competitor for India. This will eventually constitute India's fundamental understanding of China[ii]”. The US India relations have been on an upswing for nearly a decade now and on a positive trajectory. There have been engagements in many areas including economy, defence, climate change, rule of law and other global issues. There is convergence of interest on issues of global warming and investing in alternate sources of green energy. The 75-year-old alliance between the United States of America and Saudi Arabia has been one of the most enduring, unique and, indeed, strange ties in modern international relations. No two countries are more different than Saudi Arabia and the US. One is an ultra-conservative Islamic monarchy controlled by a family oligarchy - the House of Saud - that applies the sharia as its legal code. The other is the largest democracy, the largest economy, and the most powerful country in the world. There is nothing in common between the world's largest democracy and the sharia-ruled authoritarian country. At the root of this alliance lay an important energy source - oil - ever since Standard Oil, the American oil company now known as Chevron, won the concession to explore for oil in 1933 and discovered vast oil fields in the eastern region of Saudi Arabia in 1938. Oil politics contributed to making these two countries strange bedfellows. n early February, Brazil reported a nearly 50 percent jump in the number of dengue fever cases, during a three-week period in January. Officials in Rio de Janeiro are reportedly identifying two new cases of Zika every hour. According to this statistic, with just over 1,300 hours until the opening ceremony of the 2016 Olympics, there will be about 2,600 new cases of Zika confirmed. Both these findings are worrying because the mosquito that carries dengue fever also carries the Zika virus and there continues to be new cases of Zika daily. (FPRI) — Could Sweden and Finland become NATO’s newest members? Russia’s aggressive behavior in the international arena and its enhanced military activity in the Nordic-Baltic region is causing Sweden and Finland to re-evaluate their security and defense policies, and to rethink their military co-operation with NATO. Finland and Sweden are not members of NATO and it is not likely that they will be members in a foreseeable future. But they are getting closer to the alliance. On May 25 Sweden’s parliament voted to sign a Host Nation Support agreement with NATO. Finland has signed a similar agreement. The new agreement facilitates NATO use of Finnish and Swedish territory, airspace, and territorial waters during military exercises and at times of crisis. The agreements bring the two states closer to NATO by formalizing their relations to the Alliance. It does not, however, imply any of the protection or obligations that a NATO membership provides. Cooperation between Finland, Sweden and NATO has increased since the end of the Cold War. Both states have adapted their armed forces to NATO standards and have extensive interoperability with NATO. Finland has upgraded its air force with American equipment such as the F-18 Hornet and JASSM missiles. Both Sweden and Finland also supported NATO membership for the Baltic States — Estonia, Latvia, and Lithuania — by undertaking programs to improve these countries’ own defenses. Finland and Sweden have participated in in almost every NATO-mission since the end of the Cold War, from Bosnia to Afghanistan, causing some observers to note they are more reliable than some NATO member states. Moreover, Sweden and Finland have hosted and taken part in several military exercises with NATO. What, If Anything, Can the FBI Do to Spot Homegrown Terrorists in America? The gunman authorities say massacred 49 people at an Orlando nightclub had proclaimed he wanted to be a martyr, traveled to Saudi Arabia and alarmed co-workers with claims of links to extremists—troubling hints of a homegrown terrorist but not enough to lead the Federal Bureau of Investigation to conclude he was a clear threat. FBI Director James Comey, disclosing new details of Omar Mateen’s background Monday, said Mr. Mateen took trips to Saudi Arabia in 2011 and the following year, though Saudi and U.S. investigations found nothing suspicious. Mr. Mateen is an example of precisely the threat that has vexed the agency in recent years: terrorists living in the U.S. whose self-radicalization is hard to spot. Despite the actions that led the FBI to scrutinize Mr. Mateen, investigators found nothing that compelled them to act. “This is exactly what we’ve been talking about,’’ said Mr. Comey. Mr. Mateen was radicalized, he said, at least in part on the internet and had no apparent interactions with overseas terrorist groups, links that can alert law enforcement to radicalization. Mr. Comey defended the FBI’s handling of two previous probes involving the 29-year-old Orlando-nightclub terror suspect, saying there are no indications agents missed clues that could have prevented the massacre. Intelligence agencies collectively are less diverse than other federal agencies or the overall U.S. workforce, and women and minorities are especially under-represented at senior levels, according to data released Friday. Intelligence agencies “struggle to recruit talented officers who mirror the diverse country they serve,” the Office of the Director of National Intelligence said in what it called the first public release of demographics that until now existed only in classified reports. “Despite significant efforts, the IC [intelligence community] has not substantially increased the number of minority employees over time,” the announcement said. Those efforts include recruiting at targeted career fairs, grants to colleges, scholarships for individual students, and workforce development programs. The report added that Director of National Intelligence James R. Clapper Jr. urged participants at a recent intelligence community summit on diversity to produce recommendations within 90 days. The report collates data from six major intelligence agencies, such as the CIA and National Security Agency, and 11 intelligence components of other departments, including Defense, Energy, Treasury and Homeland Security. It does not provide breakdowns by individual agency, nor does it give a total count of employment in such positions. Summary: Japan was the first nation to enter a period of secular stagnation, deflationary tendencies, and fertility collapse. Now Europe and America are following (in our own ways). Decades of extreme monetary and fiscal stimulus have stabilized the economy, but at the cost of falling incomes for many of its people. Since we are on the same path, watch Japan to see the challenges we’ll face in the future. Abenomics’ failure gives Japan’s leaders nothing but harsh choices, but they appear paralyzed. Political and economic constraints at home and abroad have brought Japan’s government to a standstill, unable to enact the policies it needs. This paralysis reflects, in part, the limited options available to solve the country’s endemic economic problems. But it also is driven by the interests of Prime Minister Shinzo Abe’s administration to bolster his ruling Liberal Democratic Party (LDP) in July elections for the upper house of the Diet. Those factors have prompted a series of delays and avoidance of policy decisions that underscore the difficulties in tackling Japan’s economic woes in a charged political environment. Political and economic considerations played a part in the decision, announced May 31, to delay plans to increase the consumption tax from 8% to 10%. Authorities had planned to implement this tax increase in April 2017 but will now do so in October 2019. In the past, Abe stressed the need for Japan to push ahead with the hike — barring major financial crisis or natural disaster — to address the country’s high national debt (around 245% of gross domestic product). But growing political opposition to the tax increase, not to mention economic indicators showing that the hike could push Japan’s sluggish economy into recession, left Abe with few options. The internet confronts news publishers directly with user preferences. Accordingly, there has been a shift away from what editor's think should interest readers to what consumers really want to see, hear and read on the news. This of course infringes on long-standing self-conceptions of many journalists, who like to think of themselves as gatekeepers who choose the important over the negligible. According to US news consumers, publishers still aren't bothered enough about a reader-first approach. A poll for Digital Content Next conducted by Morning Consult concludes that most users think editors still have the upper hand in choosing what is presented. 36 per cent of those asked thought that in traditional media editors still are the prime gatekeepers, compared to 23 per cent for social media. Overall, whether it's traditional media or social media, consumers want more say in what's presented to them. The U.S. military’s ongoing cyber campaign against the Islamic State has its roots in the 2007 surge of U.S. troops in Iraq and concurrent fighting in Afghanistan, but the tradecraft has evolved considerably since then, Defense Secretary Ash Carter said. “We learned some things from there and we can use some of the techniques that we used in Afghanistan and Iraq in those days, but this really is different,” Carter said, referring to computer operations against ISIS that he ordered U.S. Cyber Command to intensify in January. He spoke June 10 at the Defense One Tech Summit in Washington. The goals of the cyberattacks on ISIS strongholds in Iraq and Syria have been to make the militants lose confidence in their networks, and for them to not know the sources of the disruptions, Carter and his top general have said. “I do think you have to recognize that ISIL’s tradecraft in using technology to advance evil objectives, both operationally and ideologically, is unprecedented,” Carter said, using the Obama administration’s preferred acronym for the terrorist group. Michael Kofman’s recent War on the Rocks essay spent much of its length critiquing RAND’s February report on the requirements for establishing a more robust conventional deterrent posture along NATO’s eastern flank. This report describes a series of wargames that we and a team of our RAND colleagues designed and ran in 2014 and 2015 to examine the potential results of a Russian invasion of the Baltic states. In aggregate, these games suggest that the permanent presence of a multi-brigade NATO armored force would likely be sufficient and might well be necessary to present Moscow with the prospect that such an attack would not result in a quick and inexpensive victory. Kofman asserts that our analysis represents “conventional wisdom,” but his piece repeats the most common arguments we’ve encountered since we began presenting this work to Pentagon audiences two years ago, reflecting what had been the standard thinking within the United States defense enterprise prior to our analysis. While Russia has been willing to use force against countries like Georgia and Ukraine, there is no reason to thinkit would attack members of NATO. Strengthening NATO’s defense along its eastern frontier could ultimately lead to the very conflict it seeks to prevent. The more challenging Russian military threat to the Baltic republics would be limited “salami-slicing” incursionsto which NATO would have political difficulty responding.